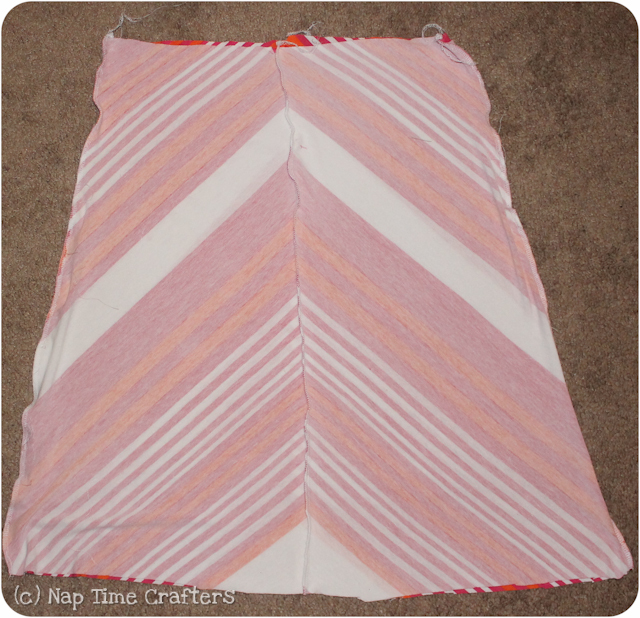 Tutorial: Chevron Dress - Peek-a-Boo Pages - Patterns, Fabric & More! I am in love with how this dress turned out! 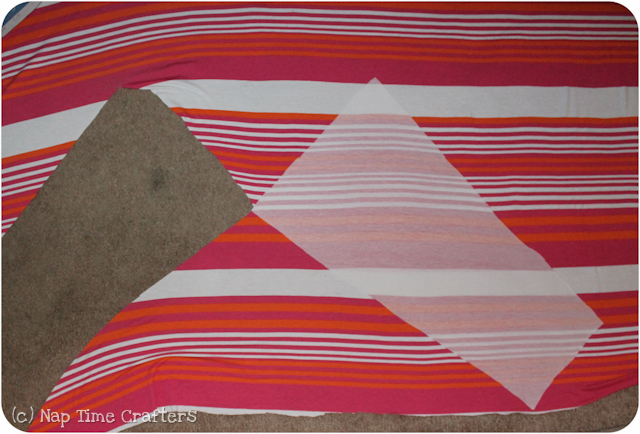 It pushed my stripe matching to the limit but the finished chevron effect is well worth it. Not to mention that it’s just about the most comfortable dress I own so it’s sure to get a lot of use this summer. 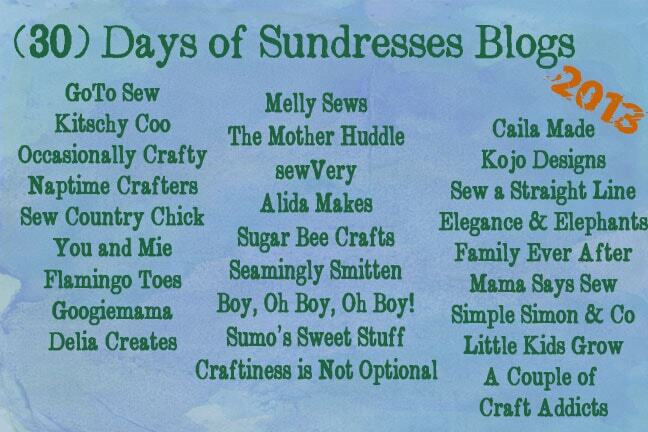 Make sure you don’t miss the other fun dresses this month! I used 1.5 yards for a size xs. 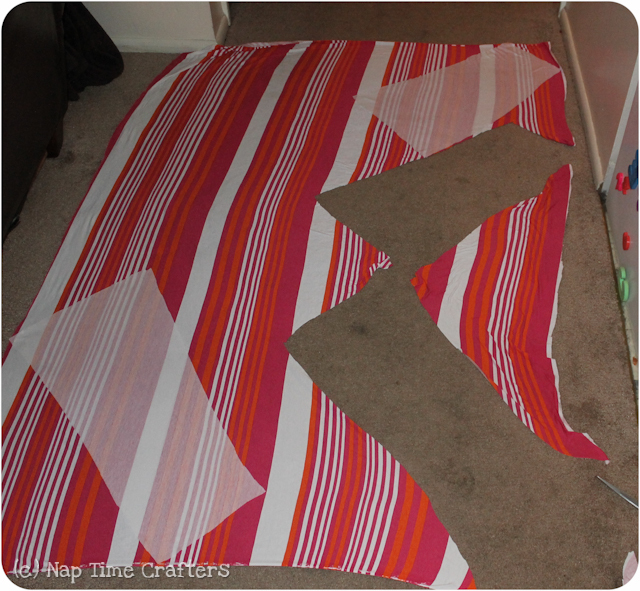 My stripe pattern was fairly hard to match up so it hogged my fabric quite a bit. 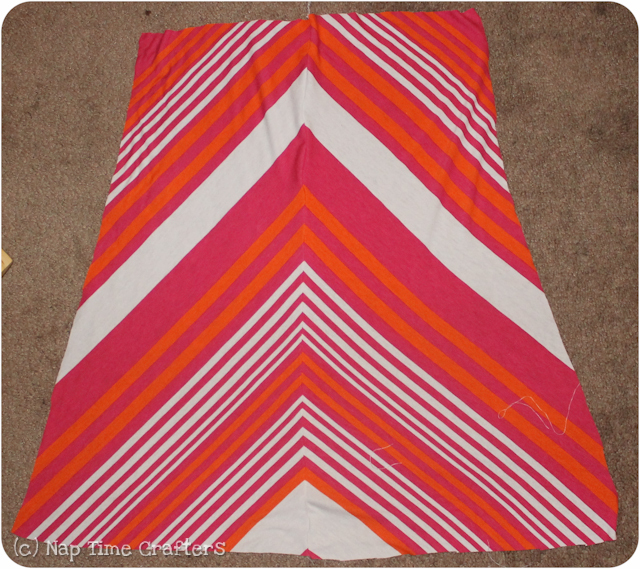 Depending on your size and stripe pattern you’ll probably want closer to 2-3 yards. It’s always better to have a bit extra right??? 1. Make a pattern for your skirt piece. Measure yourself from the natural waist down to where you’d like the dress to hit (you may need a helper) and then add in a seam allowance and hem allowance. Measure your waist, divide by 4 and add a seam allowance to one side to get the width at the top of the skirt piece and then angle outward in a slight angle. 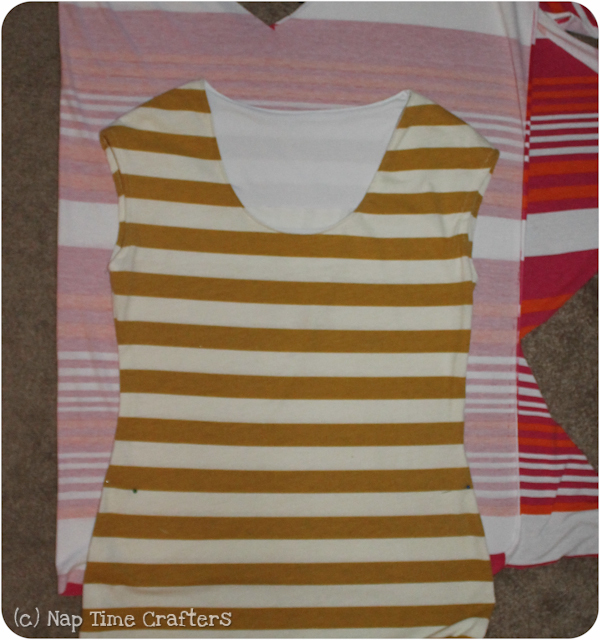 Lay your piece out on the bias so the stripes will be angled upward towards the center front instead of downwards. 2. 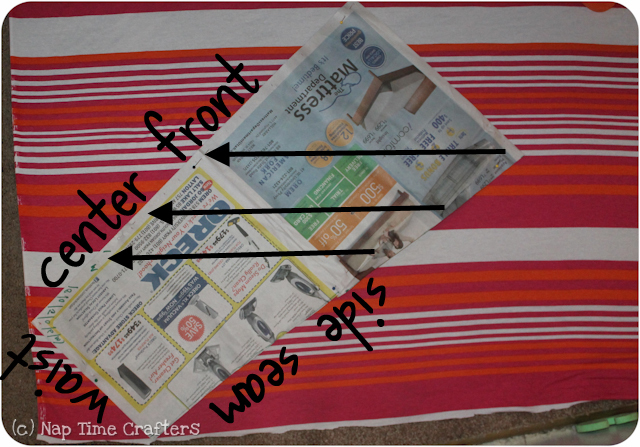 Now flip your piece over so you can cut out a mirror image from the other side of the skirt. My fabric was sheer enough that I could see through it to get everything lined up which was super helpful. 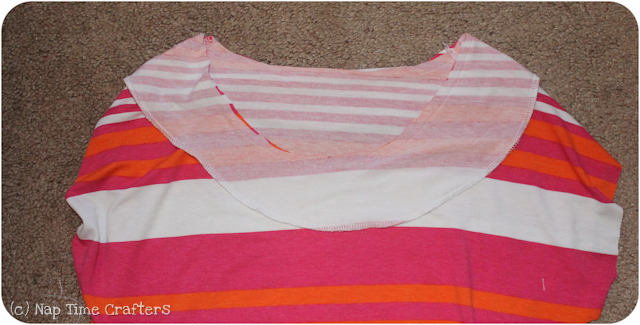 The stripes should line up around all edges but especially pay attention to the center front and side seam. 3. Repeat to cut another left and right. You can see it took a bit of tricky positioning to figure out where to put my pieces. 4. With right sides together (RST) sew the 2 front pieces together down the center front seam. Make sure you use a lot of pins and keep those stripes lined up. Repeat for the back. 6. 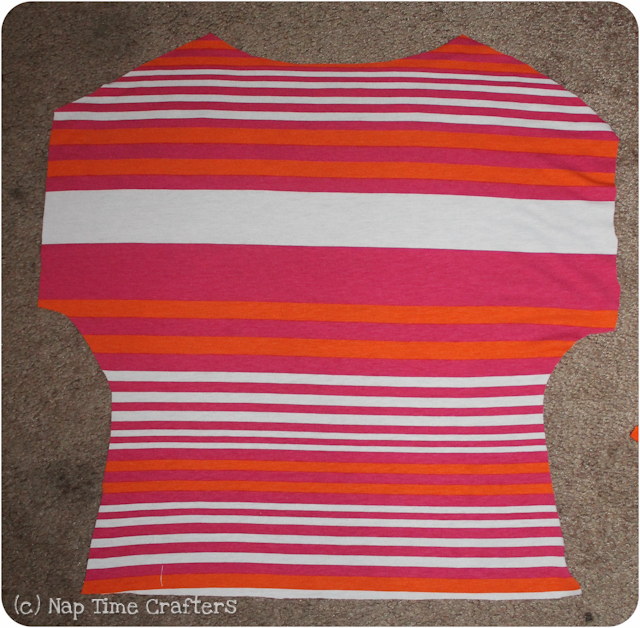 For the top of the dress I did a simple dolman shape and used my Casual Lady dress as a guide. I did add a bit to the sleeves this time around. 7. With RST sew up the shoulder seams. 8. 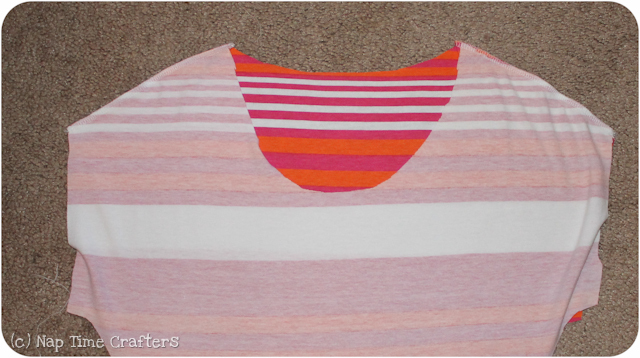 I finished my neckline with a simple facing. 9. 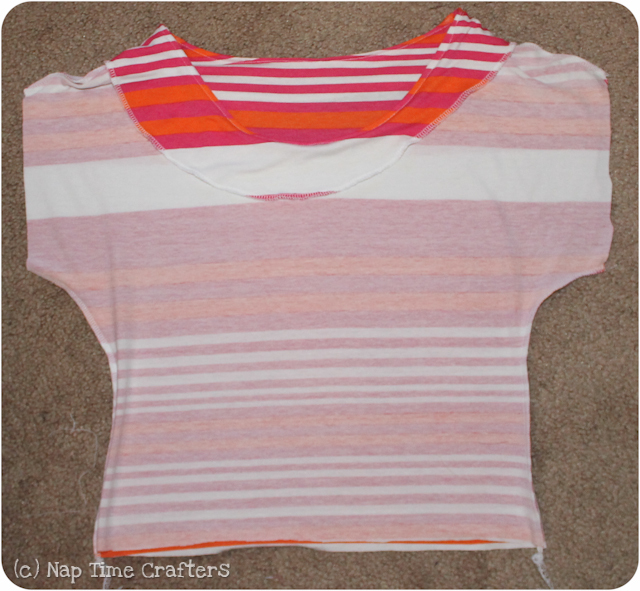 With RST sew up the side seams and then hem your sleeves. 10. Attach to your skirt 🙂 I like to use a bit of elastic in this seam to add some stability. This is so beautiful! Great job with the stripe matching too! I love the colors in this fabric. What a great look! Can you tell me how you add elastic to your waist seam. I always end up adding a casing because I’m not exactly sure how comfortable the elastic would be on the inside or where exactly it should go. Thanks! I just layer my 2 fabrics with right sides together and the put the elastic against the wrong side of one of the layers. 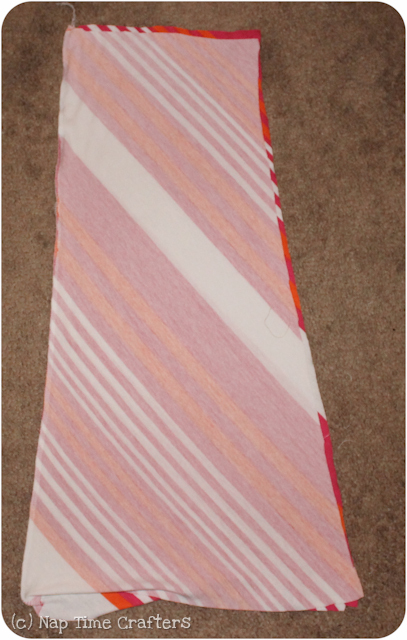 Then you can flip the seam allowance over so the elastic is hidden. You can topstitch the seam allowance in place with a zig-zag or double needle or just leave it as-is 🙂 Hope that helps! This is great! I’m a bit obsessed with chevron. Thanks for sharing! beautiful! I love it!! Looks simple and SO comfy! 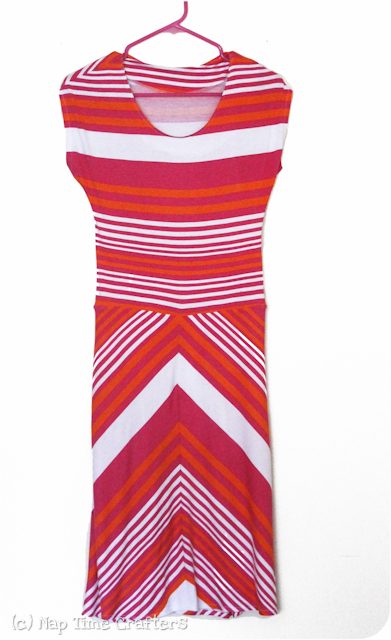 great work on the stripe matching too! I love this! it looks simple and oh so comfortable. Thanks for explaning how to make the chevron too!